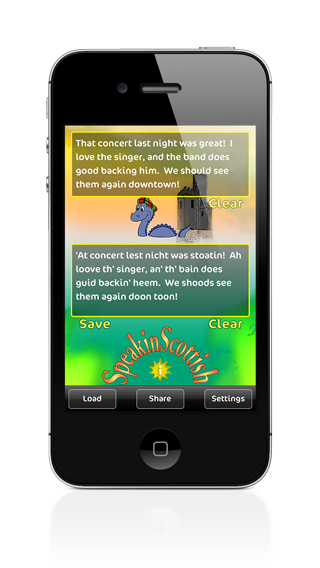 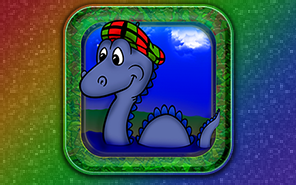 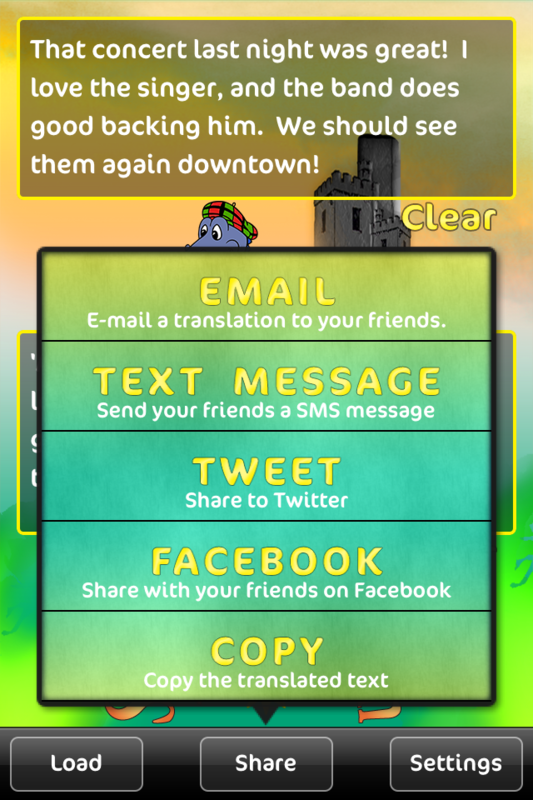 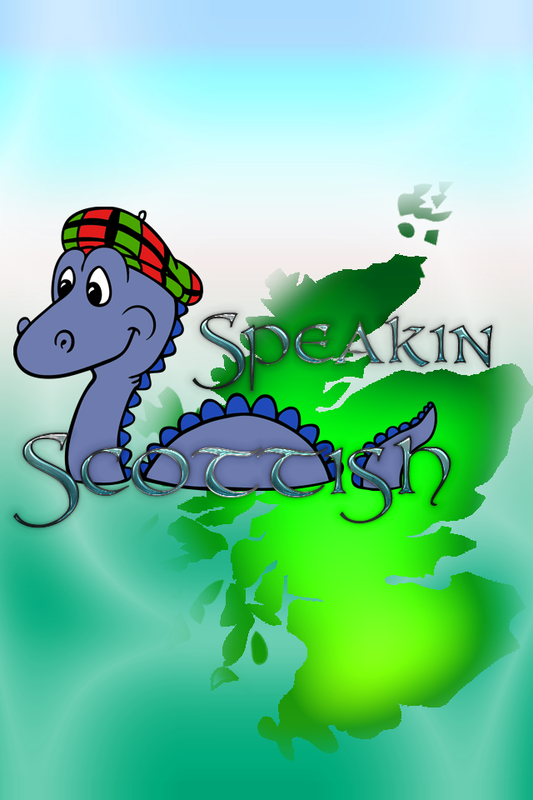 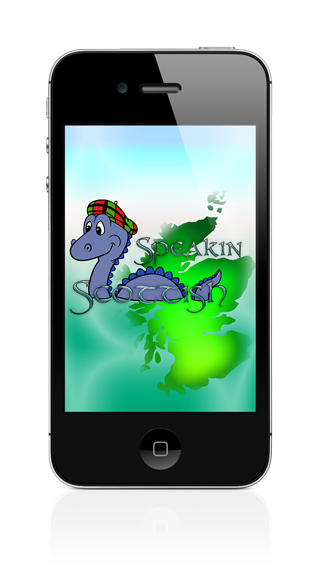 Whether you are daffing around with your friends or want to add a Scottish lilt to your messages, use this app to learn to speak like the Scottish! 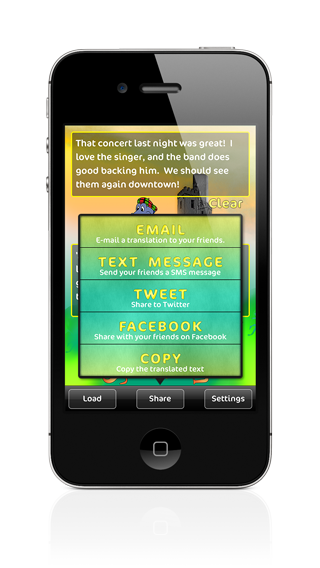 Simply enter a word or phrase, translate it in the tap of a button and instantly share it to any of your friends. 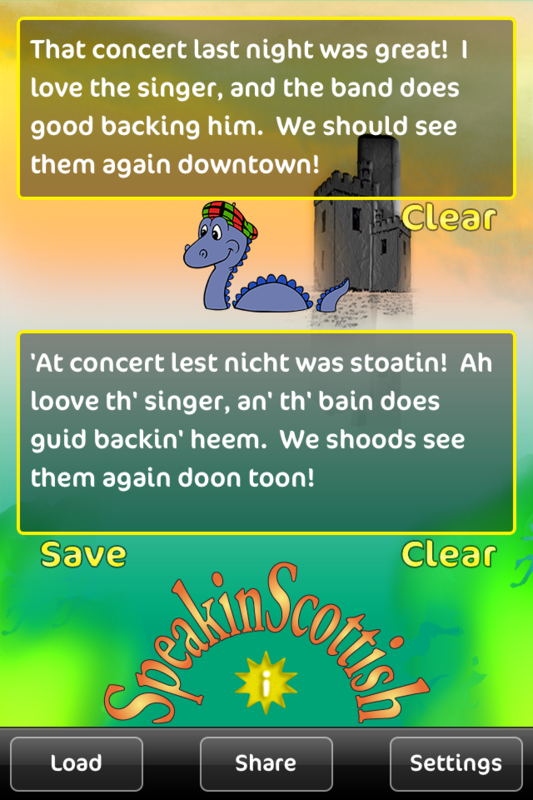 So, tighten your tartan, grab your bagpipes and get ready to start bleth'rin like the Highlander.